Welcome to the sixth in our ‘Off the Beaten Track‘ Cambodia series. It’s been a while since the last in the series – Peung Tanon Standing Stones, and unfortunately, we’ve not managed to visit a new off the beaten track destination in Cambodia every month as planned due to other travel. As explained below the aim of this series is to encourage people to spend longer in Cambodia and to visit more than the most touristic destinations like Siem Reap for the Angkor Archaeological Park, Phnom Penh for the Killing Fields and S21 Prison, and the South coast. In October, Andy and I visited Battambang for a long weekend. 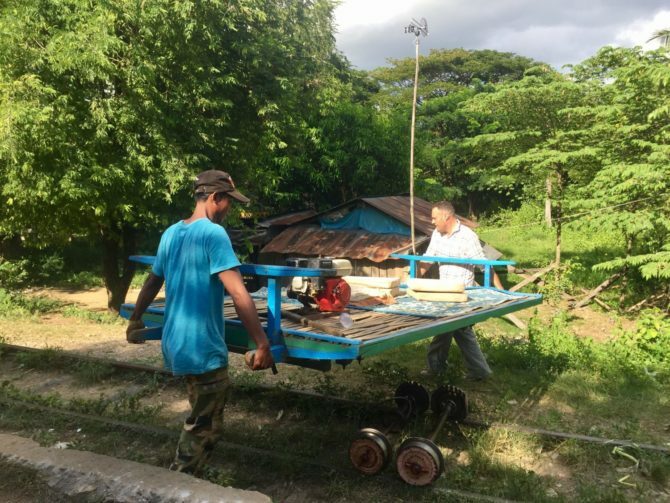 This had been on our list since arriving in Cambodia and the news that its famous Bamboo Train would be closing soon gave us the push we needed to go. Situated in the west of Cambodia and connected to the Tonle Sap Lake by the Sangker River is Battambang, Cambodia’s second biggest city and the capital of Battambang Province. Despite its size, Battambang is actually quite a sleepy city and home to some of the most attractive, best preserved French colonial architecture in Cambodia. With slightly lower temperatures and rich soils the surrounding lush, green countryside is the best rice-producing farmland in Cambodia. The city itself has a kind of small-town charm that offers a welcome respite from the hubbub of touristy Siem Reap and Phnom Penh. The main attraction of Battambang is (or should I say was), of course, the Bamboo Train or Nori as it’s called locally. 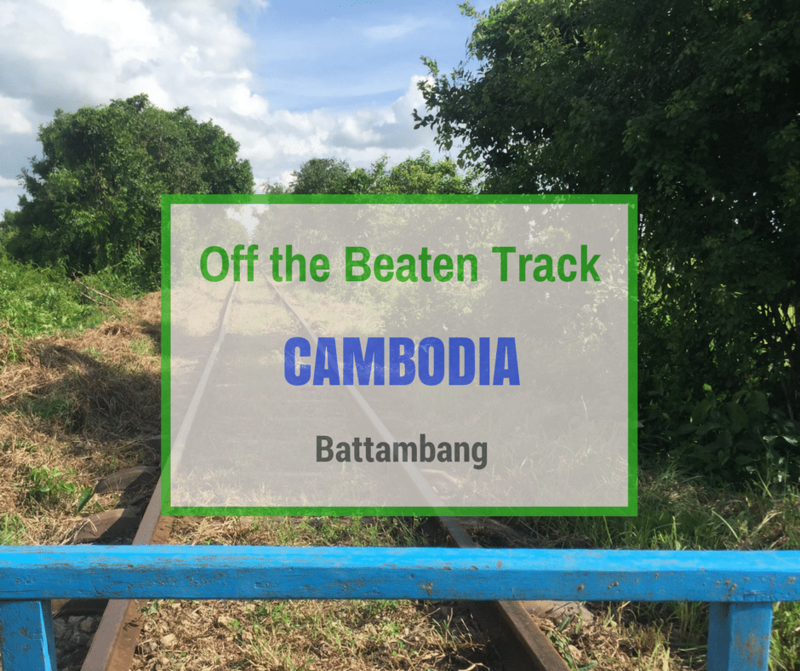 I say it was the main attraction because when we visited the tracks were being pulled up to make way for the new railway from Phnom Penh to Battambang. 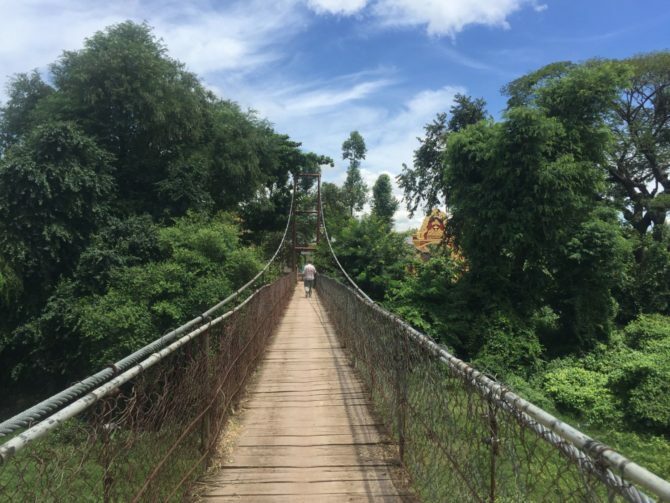 Sadly the week after we visited, the Bamboo Train closed, but for memories sake, I’ll still share our experience of this along with the other things to see and do in and around Battambang. You’ll find many of the main sites dotted amongst rice paddies in the surrounding area outside the city and are best explored by tuk tuk tour as we did. About 7 km north of Battambang city is Wat Samrong Knong, one of the oldest pagodas in Battambang Province. Our tuk tuk driver dropped us off at the front of the complex and pointed us in the direction to walk, telling us he’d meet us on the other side. We found it a pleasant complex to walk around with both the original old pagoda and a much newer, more colourful ornate one. The old pagoda was once used as a prison and interrogation centre during Pol Pots regime in the 1970’s. Nowadays there is no indication of the horrors that took place here until that is you stumble across the Well of Shadows round the back of the complex. 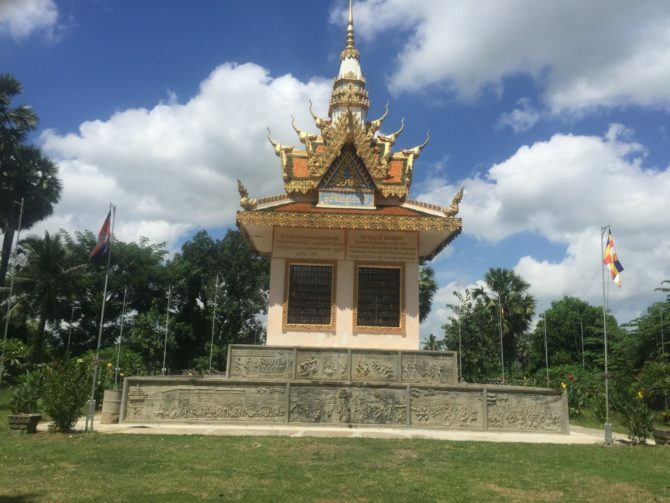 Built in one of Cambodia’s many Killing Fields as a shrine to the 10,000 plus people who were slaughtered there. The glass-fronted shrine displays the bones of some of the many victims, whilst the stone base covered in graphic carvings and descriptions serves as a stark reminder of the atrocities that happened not so very long ago. Battambang is surrounded by small villages with cottage industries that supplement their household income. Visiting some of these is a great way to get more of an insight into the lives of the locals in this area. Products include rice paper, rice noodles, palm wine, woven textiles, and traditional woven sleeping mats. We visited two cottage industries. The first was in Pheam Ek Village, otherwise known as Rice Paper Village, where the production of rice paper is the main source of income. 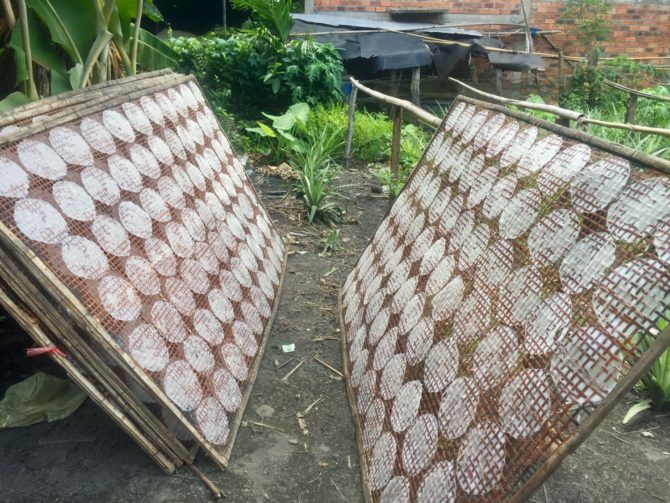 Discs of rice paper were drying on mesh trays propped up everywhere by roadsides and in driveways. We went to one house where a man and women were making rice paper so we could watch and learn some more about it. The second was a family who were weaving traditional sleeping mats from some type of grass. Again we spent a short time there and observed them working. 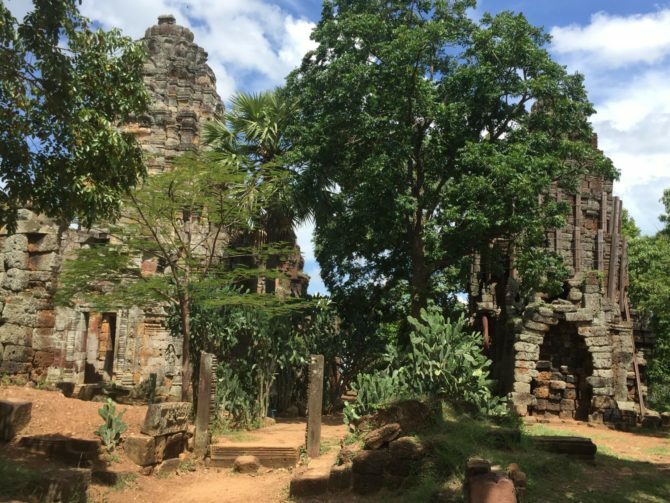 About 45 minutes and 15 km north east of Battambang city is the partially ruined 11th-century Wat Ek Phnom set behind a bright ornate modern pagoda. Having been in South East Asia for over a year at this point, we were a bit templed out and whilst it was atmospheric we didn’t find it that impressive, except for the towering white seated Buddha statue that’s also there. The $3 USD (£2.24 GBP) entrance fee also covers entry to Phnom Banan and Phnom Sampeau so it’s still worth giving it a look, even if only for the stunning and interesting tuk tuk ride there through the Cambodian countryside. Heading back towards Battambang there’s a rickety wooden and wire suspension bridge known as the ‘Swinging Bridge‘, which really does swing when you cross it. We stopped and quickly walked to the other side to look at yet another ornate red and gold pagoda. The bridge is only the width of 1.5 motorcycles so if a motorcycle or bicycle wants to pass you, you have to press up against the flimsy looking railing. That happened when we were walking back and was a little nerve-wracking. Located on top of a hill, deep in the Cambodian countryside 22 km south of Battambang city is Phnom Banan, another partially ruined 11th-century Angkorian temple. Be prepared to exert yourself as there’s a steep 358-step climb to contend with, although the naga bannisters do give you a little support. Make sure you have water with you, we were running short by the time we got to a rest area half way up and was stung for very over-priced soft drinks from a lady with an orange esky! The top of the temple has five towers which resemble a small Angkor Wat and despite some looting is quite well-preserved. The summit offers fantastic views (although partially obscured by vegetation) down over the Sangker River and surrounding countryside. At the bottom of the steps are a few local street food restaurants with quite extensive menus. If you’re hungry you can grab something for as little as $2 USD (£1.49 GBP). We went for fried vegetable noodles for $2.50 USD (£1.86 GBP). Whilst we were at Phnom Banan, some Khmer couples in traditional outfits were using the steps and temple for their pre-wedding photo-shoots, which was another great insight into Cambodian traditions. The Bamboo Train or Nori is basically a bamboo platform with wheels and a motor, that’s it. Very simple but surprisingly strong locals used to use it to shuttle people, produce, and livestock between villages. The Bamboo Train was the main reason we’d headed to Battambang that weekend as we’d heard it was due to close imminently. As you can imagine we were gutted to be told on our first night there that the train had stopped running that day. There was a glimmer of hope the following morning though when our tuk tuk driver informed us it may still be possible. He spent the day as he drove us about on and off his phone making enquiries. 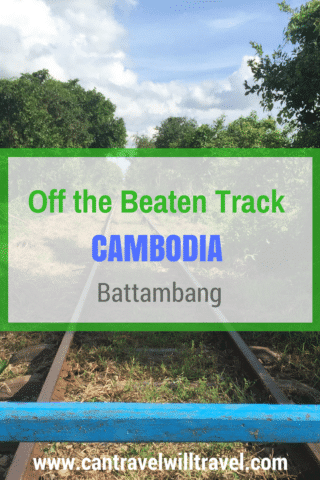 Finally, he announced that yes, we could indeed still go on the Battambang Bamboo Train. We headed back towards Battambang and turned off the road onto a wide open space that had been cleared for construction, paying no heed to the ‘no entry’ sign. As we screeched to a halt we could see that the railway tracks in front of us were being pulled up ready for the upgrade of the national railway, splitting the Bamboo Railway track in two. There were, however, still a couple of Bamboo Trains ready and waiting to take visitors on a shorter ride where the tracks were still in place. We handed over $5 USD (£3.73 GBP each) and balanced ourselves on the low bamboo platform on a couple of dirty cushions. A little girl clambered on after us with a wrist full of friendship bracelets that she spent the journey trying to sell us. Our driver climbed on board and fired up the engine; before we knew it we were hurtling down the track at quite some speed. As we sped through bright green paddy fields the clatter from the dilapidated tracks beneath us was earsplitting and the vibrations bone-shaking. It was good fun, but slightly terrifying at the same time. After a while, we rolled to a stop near a few local stalls selling dusty souvenirs, T-shirts, and drinks. There wasn’t much to see and we were hassled by several children selling bracelets. After buying a soft drink from a beaming little old man, Andy helped the driver lift the Nori and turn it around. we climbed back on for the return journey, then almost immediately encountered another train coming the other way. As it only had one passenger, the ‘Nori rules’ were followed and she got off so her Nori could be moved to allow us to pass. Soon our ride was over and we got back in our tuk tuk happy that we’d gotten to experience the Bamboo Train before it closed for good. 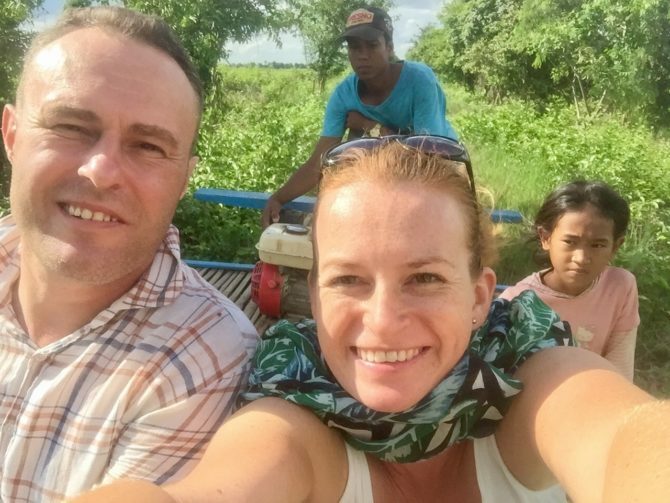 Here’s Andy’s vlog of our crazy Battambang Bamboo Train ride. Note: I’m unsure of how accurate this is but I’ve heard that a replacement Bamboo Railway is being currently built near Wat Banan and is due to open mid-2018. Rumour has it that some tourists have been on rides on the unfinished track for a discounted price already. If you’re in Battambang your best bet is to ask a tuk tuk driver who may be able to advise if this is true and point you in the right direction. About 12 km south west of Battambang city and usually the last stop on a countryside tour is Phnom Sampeau. It’s a very steep, limestone protrusion, with a hilltop pagoda complex at the top. It’s height and the steep drop made it popular with the Khmer Rouge who pushed victims off it to their death. There are also several caves which were used as dumping grounds for bodies, these are now known as the Killing Caves. It’s possible to walk or take a motorbike up Phnom Sampeau to look around the Killing Caves, now a shrine to the victims, and the pagoda. There are also breathtaking views of the surrounding countryside to admire. 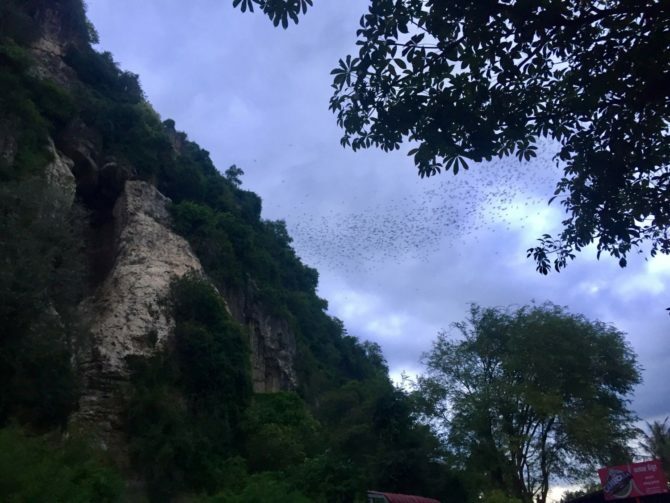 Unfortunately, we didn’t have time to go up Phnom Sampeau as we didn’t want to miss the natural phenomenon at dusk of bats flying out of the Bat Cave in the limestone formation. We sat down at one of the tables that lined the streets and waited with a drink for the bats to appear, and waited, and waited. About 6:30 pm, around the same time as it started to drizzle with rain, a few bats started to flit about around the mouth of the cave. Suddenly millions more bats joined them in a steady stream that stretched across the sky like flowing ink. We watched mesmerized for ten minutes or so, but then the drizzle began to get heavier so it was time to leave. We followed the airborne procession of bats on their nightly hunt until they disappeared behind us. It was a spectacular sight and worth trying to time a visit to Phnom Sampeu to see it. Battambang is split in two by the River Sanker and exploring by foot, especially late afternoon into early evening when it’s not so hot is a nice way to while away a few hours. We spent our first afternoon and evening just wandering along the riversides and exploring the streets leading away from it. It just so happened that when we visited a pre-Water Festival festival was in full flow which meant everything was much busier and noisier than normal. Dragon boat races were taking place to determine which teams would be taking part in the main Water Festival boat races in November. Lots of stalls were set up along both sides of the river selling street food and household goods. There were also a few fairground rides and loudspeakers blasting out competing, equally terrible music. Festival aside, people watching as the sun starts to set makes for an enjoyable evening. Locals go out walking, jogging, or exercising in the public open-air gym, young couples chat on benches, youths kick shuttlecocks to one another, and laughing children play in the park. I understand that there are also nightly street food stalls set up on the riversides, even when there’s no festival on. We didn’t sample any on this occasion but if you can ignore the typical Cambodian litter on the floor the food looked pretty tasty! About the World – we decided to eat dinner in this quaint, family-run restaurant after reading its excellent reviews on TripAdvisor. Set down a quiet side street, it has a lovely courtyard seating area out front, whilst inside are low tables and floor cushions. We were lucky to eat there on a quiet evening and had the undivided attention of the welcoming and chatty owner, Sarin. The menu had a good selection of very reasonably priced Khmer and Western dishes. Andy had the Caramelised Chicken Burger at $3.25 USD (£2.42 GBP) and I had the Lock Lack Chicken at $3.50 USD (£2.61 GBP), both were great value for money. We couldn’t fault our meal and enjoyed the relaxed atmosphere and music and conversation with Sarin. Riverside Balcony Bar – we didn’t eat at this expat favourite, a converted Khmer wooden stilted house, popular for its pizzas. We did, however, spend a fun couple of hours there chatting with the friendly staff and expats over a few drinks. Note: Since our visit this bar has closed its doors for business. If we hear it re-opens we’ll update this accordingly. 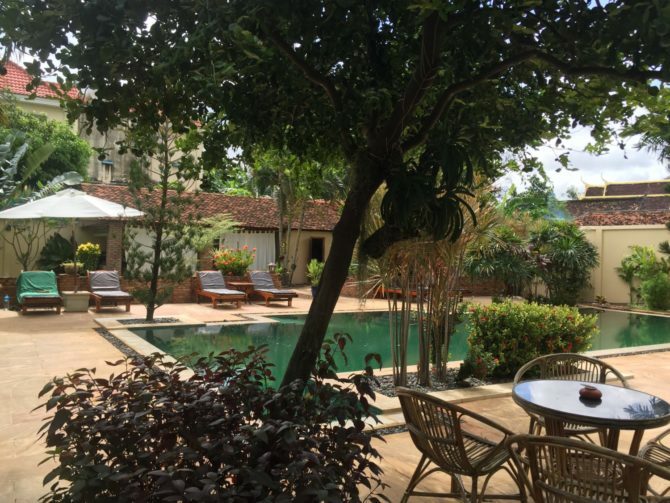 Here Be Dragons – is actually a guesthouse but also has a restaurant serving Khmer, Western, and Thai food and a bar which is popular with expats. We visited here for a drink at their bar on the recommendation from a good friend in Siem Reap. It was quiet the night we went but was a nice place for a nightcap or three. They have indoor, outdoor, and rooftop seating areas, but on the night we visited it was quiet so we sat at the bar and chatted with the owners Ferg and Jen. It actually turned out that I went to the same school as Jen in the same year as her sister…such a small world! We really liked the friendly atmosphere there and can imagine it gets quite lively in there on some nights, especially when they put live music on. In a town where things tend to close quite early, this is probably your best bet for a late drink. Jaan Bai – foodies and the socially responsible will love this restaurant. It’s run by the Cambodian Children’s Trust who train and employ young Cambodians. The menu has a range of Khmer dishes with a modern twist, with many of the ingredients grown at the restaurant’s farm. We ate here on our last night in Battambang and had a lovely evening, the staff were professional and courteous and the food delicious. We shared three starters (we couldn’t decide on two) of Pork Belly Bao, Local Corn Fritters, and Eggplant and Mushroom Dumplings which were all fantastic and cost $5.25 USD (£3.91 GBP), $3.25 USD (£2.42 GBP), and $3.75 USD (£2.80 GBP) respectively. For the main course, Andy had the Banana Flower Chicken at $6.75 USD (£5.03 GBP) and I had Pad Thai at $5.25 USD. Again they were both really tasty, although I did struggle to finish mine as it was rather rich. If you’re in Battambang this is one not to miss, plus you’ll also be helping a good cause, with a percentage of profits going to the Cambodian Children’s Trust. White Rose – we popped in here for a coffee soon after we arrived and also for a quick lunch on the day we left Battambang. Probably one of Battambang’s longest standing and centrally located restaurants it’s usually quite busy. However, the food we had wasn’t particularly memorable, in fact, I can’t recall what we had, and the service left much to be desired. Despite this is you’re after cheap and cheerful Khmer food this place has plenty of that. For more suggestions of good places to eat and drink have a look at Move to Cambodia‘s blog post on Where to Eat. With a prime spot overlooking the River Sangker is La Villa, an old French colonial residence built in the 1930’s. It was purchased by an expat couple in 2004 and following extensive renovation was given a new lease of life as a seven bedroom guesthouse with a swimming pool. 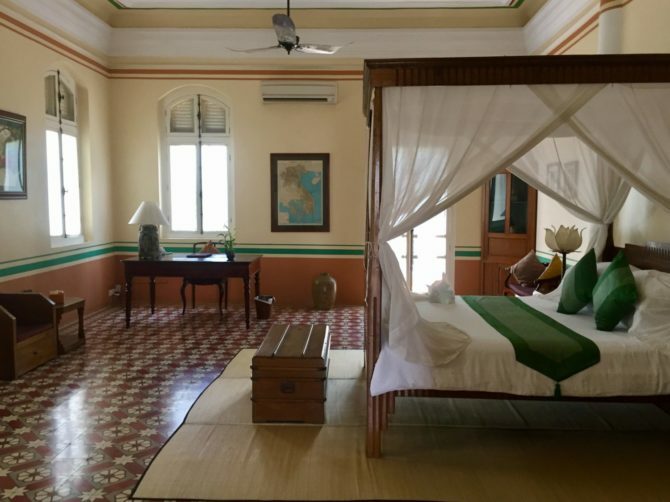 For many years it was Battambang’s only ‘luxury’ hotel and whilst many others have now been built in the city, La Villa retains the crown for the most charming, romantic, and classic place to stay. In low season the price for a Standard room ranges from $65 USD (£48.46 GBP) to $75 USD (£55.91 GBP), and for a Suite, it ranges from $97 USD (£72.31 GBP) to $115 USD (£85.73 GBP) depending on occupancy. In high season the prices all increase by $10 USD (£7.46 GBP). The reception is in the front of the hotel through a gate leading onto the river road. We were greeted by the current manager Andrea and her huge, but friendly dog. We were soon checked in and shown up to our room on the second floor, a Standard room at the front of the residence. The bedroom was big, bright, and airy, with art-deco furniture, beautiful tiles, and a four-poster bed – the comfiest bed we’ve slept in for ages. The bedroom also had a widescreen TV, writing desk and chair, sofa, bedside tables, ottoman, and a mini-bar plus tea and coffee making facilities. There was also a shared balcony which overlooked the front courtyard and riverside area. In the lobby of our bedroom was another table and a double wardrobe with a safe, robes and slippers. Next to the lobby was our own bathroom with a shower and a BATH…you can imagine Andy’s excitement, he loves a bath and they’re hard to come by in Cambodia. We absolutely loved our gorgeous room! The restaurant and bar set under a decorative glass roof, are on the ground floor just behind reception. Extending back from the restaurant is an outdoor seating area in a pretty courtyard shaded by big tamarind trees. The menu had a selection of Asian and European dishes however we only ate there once when we first arrived. We both had a Khmer Chicken Curry which was nice, I can’t accurately recall the price but I believe it was around $5 USD. We also ate breakfast there on both days which was pretty good and included in the room price. Both morning we had eggs and bread which came with juice, coffee, and a selection of cakes, plenty to set you up for a busy day! We loved our stay at La Villa, it’s a perfect, tranquil place to rest and recuperate away from busy city life! Andy also shot a vlog on La Villa which shows you around the resort. Siem Reap – By road Battambang is only 77 km from Siem Reap, however, there are no direct buses so the journey by bus can take up to four hours. The best bus company is Capitol Tours which runs buses four times a day at 7:30 am, 8:30 am, 9:30 am, 12:30 pm, and 1:30 pm; there’s also an extra bus on a Friday at 5:30 pm. This costs $5 USD and supposedly takes three and a half hours, but is likely to be slightly more. You can book these buses at your accommodation or a travel agency but there’ll likely be a sizeable markup in price. To save yourself a few dollars you can just go to the Capitol Tours office on Street 10 in Siem Reap. The price includes a mini-van pickup to the bus station, but this can add up to another hour to your journey. If budget isn’t an issue a faster option is to get a taxi which should cost between $40 USD (£29.82 GBP) and $50 USD (£37.28 GBP) and will only take between two and two and a half hours. You can book a taxi through any hotel, guesthouse, or travel agency. Getting a boat from Siem Reap to Battambang can be a nice scenic option, although it will take between eight to ten hours depending on the season. Its better during the wet season when water levels are higher, during dry season be prepared as you may not be able to go by boat all the way and may end up going part way by walking part of it. The boat costs $25 USD (£18.64 GBP) and leaves at 7 am and 1 pm, tickets can be booked via the Angkor Focus website. Phnom Penh – By road Battambang is about 300 km from Phnom Penh. The best bus company is Capitol Tours which runs several buses throughout the day at 6:45 am, 7 am, 8 am, 9 am, 10:30 am, 11:30 am, 12:30 pm, 1 pm, 2 pm, 2:45 pm, 3 pm, 4 pm, and 5:30 pm. This costs $6 USD (£4.47 GBP) and should take between six and seven hours. Again these buses can be booked through most guesthouses, hotels, or travel agencies with a markup in price or just book it yourself at their office on Street 182 in Phnom Penh. As for the Siem Reap route, the price again includes a mini-van pickup which will add more time to your journey. A taxi is a much quicker but more expensive option taking taxi which should cost from $75 USD (£52.93 GBP) depending on how many seats and take about six hours. Again taxis can be booked through any hotel, guesthouse, or travel agency. It’s easy to explore Battambang city by foot as most things of any interest are located in the roads around and to the south of Psar Nath. 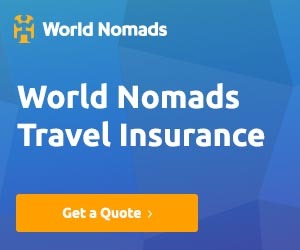 You could also rent a bicycle from some hotels, guesthouses, or bike companies like Soksabike for about $2 USD (£1.49 GBP) for a city bike, or $5 USD for a mountain bike. This is also a good way of exploring the surrounding countryside. If cycling and walking aren’t your things, there are also lots of tuk tuks in town which you can use. The best way to visit the sites outside of Battambang city is via a tuk tuk tour. We arranged one from our hotel which cost us $25 USD for the day to take us round the main sites. Our tuk tuk driver collected us from the hotel around 9 am, although in hindsight we should have maybe started a little earlier so we weren’t as rushed. Prahok Factory – if you’ve got the stomach for it and can bear the stench a visit to a factory where the pungent fish paste is made that is used in many Cambodian dishes. Chan Thai Choeung Winery – also known as Banan Winery this is the only winery in Cambodia and is about 14 km outside of Battambang city. Cambodia isn’t known for its wine but this could be worth a look if you’re in the vicinity, entry costs just $2 USD. Phare Ponleu Selpak Circus – an excellent way to spend an evening is with a visit to one of the shows put on by the Phare Circus. The performers are all students in Phares 6 year long circus program. Once they complete the course they have the opportunity to perform in the Siem Reap Phare Circus and to tour the world. The doors open at 6 pm and the show starts at 7 pm. Tickets cost $14 USD (£10.44 GBP) for adults and $7 USD (£5.22 GBP) for children. 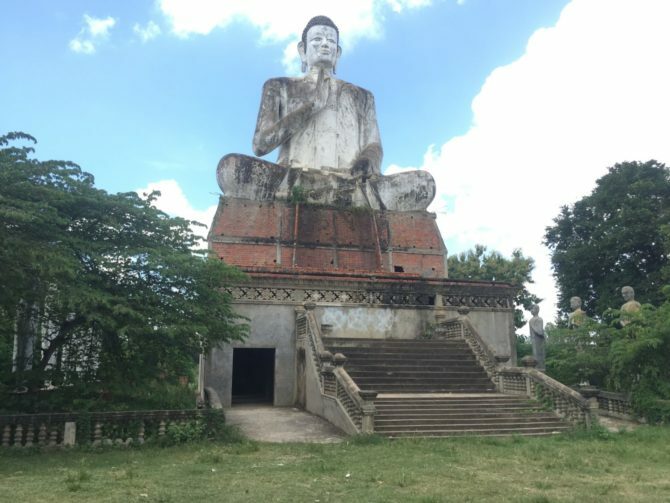 Have you visited Battambang? Have I missed anything there is to see off the beaten track? 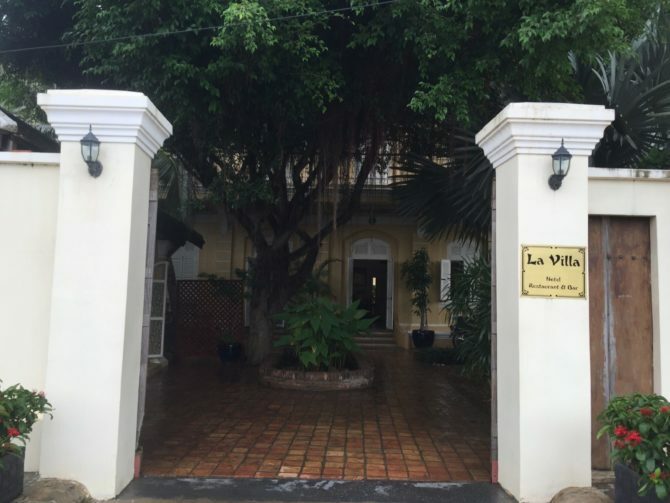 Product Review Disclosure: La Villa provided us with a complimentary two-night stay. This did not influence my post in any way and as always I’ve provided a balanced and honest review.